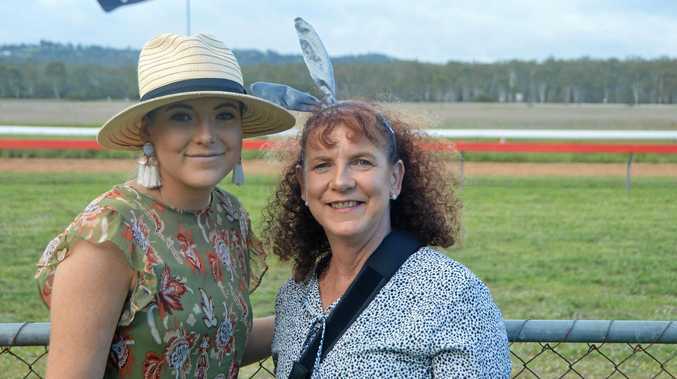 WITH tears rolling down her cheeks, Nyawech Fouch recalls the day her cousin was killed by two men in a random and racially motivated attack in Melbourne's southeast more than a decade ago. "The last words they said to (him) were 'let's take our anger out on some n****r' and then they went and attacked my cousin," she told hundreds of protesters outside Channel 7's Melbourne headquarters. 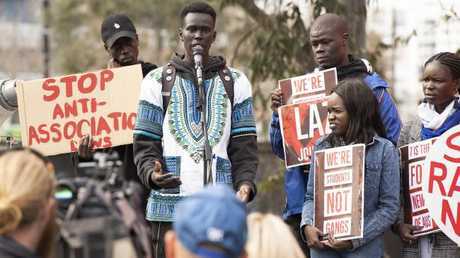 Saturday's protest comes amid the perceived unfair media coverage and political commentary against African Australians, particularly accusations Sudanese youth gangs are rampant in Melbourne. Ms Fouch's cousin, Liep Gony, 18, died in hospital in 2007 after suffering head injuries. He had been left to die on a Noble Park nature strip. The 21-year-old said she forgave the two white men who killed her cousin, and "every person who has ever stereotyped a black man", asking people to "please let us live our lives in peace". Mr Gony's mother, Martha Ojulo, also broke down in tears saying he was killed "because he was black". Protest co-organiser Titan Debirioun, 19, wants people to give them back their identity as human beings, not criminals. "I am more than my colour and to see that has been taken away from me, and that image has been portrayed about who I am, who my brothers, and … parents are … their identity has been taken away. Now we are just judged as a black community," he told the crowd. "The damage that it's doing to our community is inconceivable. I want the wider Australian community to see the pain we are going through, and understand the pain. All we want is a fair go in this society. To show who we are as people and … not lazy journalism." Another young man told the crowd in Docklands, "Let us show you that we are more than the media portrays us to be. Don't measure us in skin colour. If you are going to talk about crime and you are going to attach our name to it, you can go to any station in Melbourne, go around the corner, and see any nationality is able to commit crime." 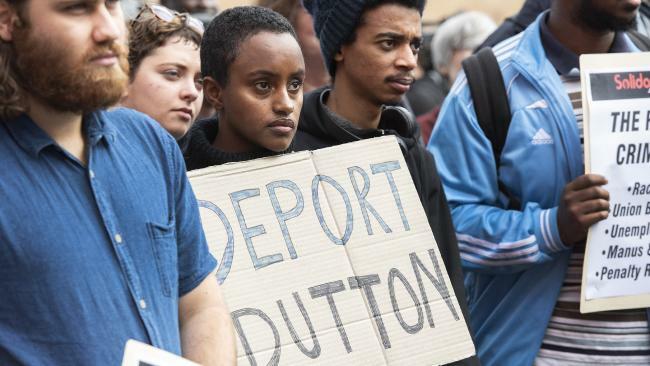 Senior federal politicians including Prime Minister Malcolm Turnbull previously weighed into the debate about Melbourne's criminal gangs, pointing the finger at Sudanese people. 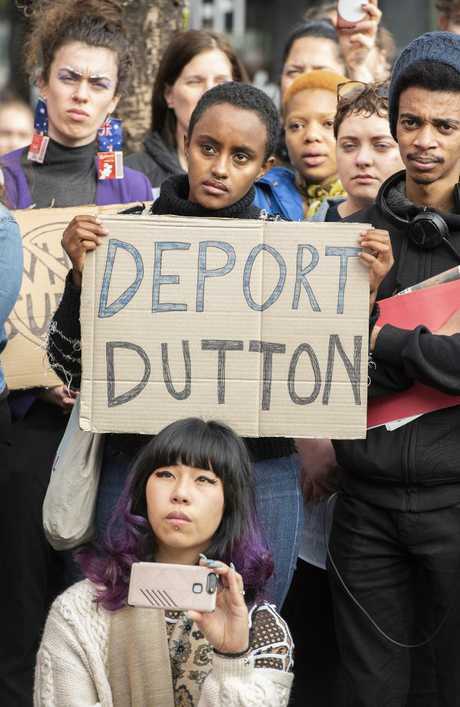 It comes after Laa Chol, 19, was killed last week at a party in a Melbourne CBD apartment, a crime that Home Affairs Minister Peter Dutton linked to gang activity. "We have people in our community who do the wrong thing, but that is just like any other community," Mr Debirioun said. "To have your leader, people in positions in power in politics … to single out my community and say something … that isn't true, that is hurtful. I am disappointed with the leadership in our country." 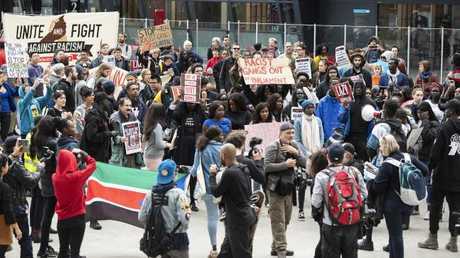 Protest organisers led chants of "tell Channel 7 enough is enough" and "we are students and leaders, not African gangs" before marching near Channel 9 headquarters in Melbourne.